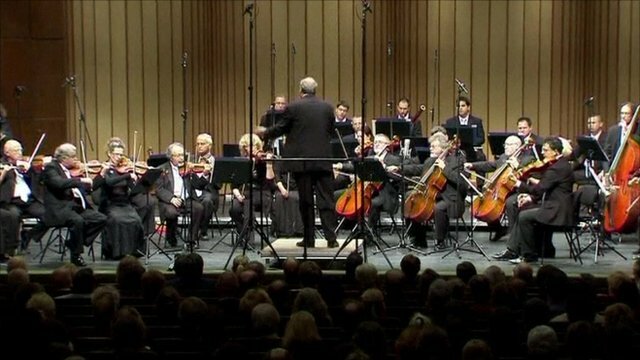 Mid-East orchestra's message of peace Jump to media player An orchestra born out of conflict in the Middle East has performed on one of the world's most dangerous frontiers, the demilitarised zone on the Korean peninsula. 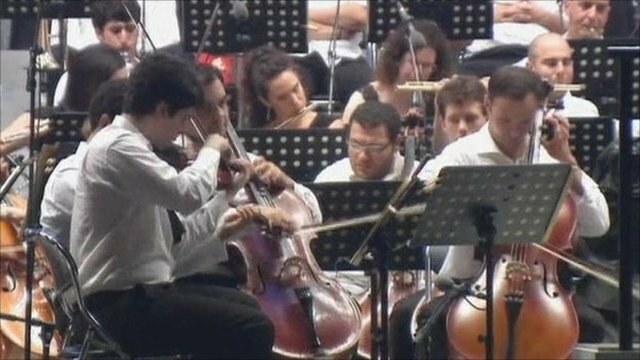 Israeli orchestra performs Wagner Jump to media player An Israeli orchestra breaks a taboo by performing a work by the German composer, Richard Wagner, on German soil, for the first time. 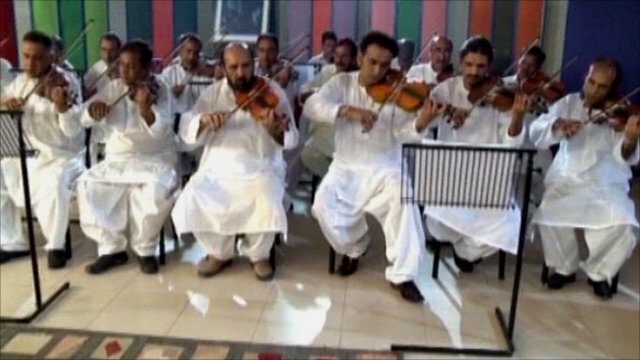 Orchestra reinvents jazz classics Jump to media player A new orchestra in the Pakistani city of Lahore is causing some excitement in the world of jazz - and turning around their own fortunes at the same time. The darker side of K-pop Jump to media player Are musicians losing out in the explosion of pop music in Korea? An orchestra born out of conflict in the Middle East has performed on one of the world's most dangerous frontiers, the demilitarised zone on the Korean peninsula. The West-Eastern Divan Orchestra, run by the conductor Daniel Barenboim, was formed to promote dialogue between Israeli and Palestinian musicians and has played in venues across the world.